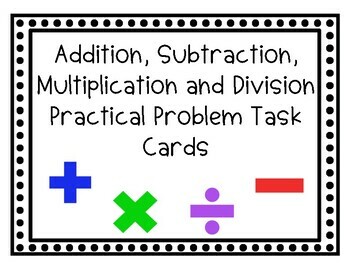 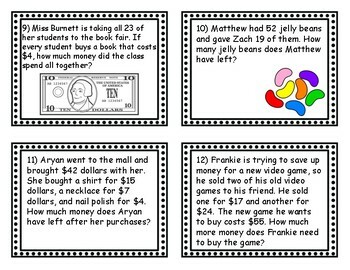 These task cards pair perfectly with any lesson on single-step and multistep practical problems involving addition, subtraction, multiplication, and division of whole numbers. 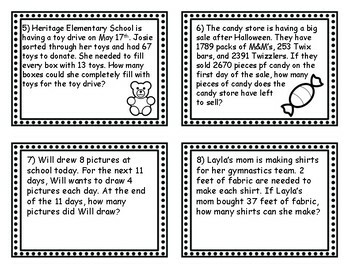 These practical problems align with Virginia State Standard of Learning 5.4. 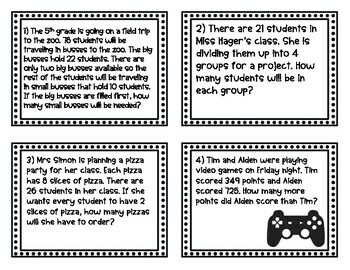 Students are able to solve problems that are applicable to their own lives which really peaks interest!